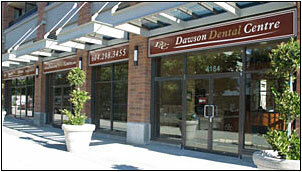 Dawson Dental Centre is located on ground level at 4184 Dawson Street in Burnaby. Accessible by sky train (Millennium line) at Gilmore Station. Free undercover parking is available behind the building.